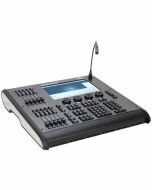 Packaged in a sleek, black metal package, the Wholehog MIDI/LTC Widget provides a single Linear Timecode input and MIDI in/out/thru for any Hog 4 OS consoles and any Hog 4 PC. 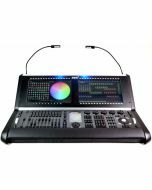 When used in conjunction with Hog 4, Full Boar 4, Road Hog 4, the LTC Widget provides a powerful level of timecode functionality. 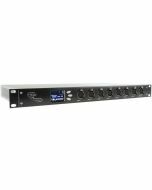 You are now able to connect up to 8 MIDI/LTC widgets to your console or DMX Processor 8000, allowing for multiple timecode sources to be brought into the console. 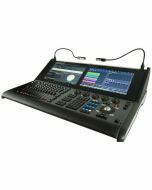 By adding more DMX Processor 8000's you will be able to expand this further. 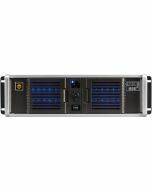 This configuration provides an excellent solution for backup and timecoded playback-only applications. 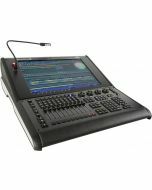 In addition, the MIDI in/out/thru allow direct connection of MIDI for show control and backup purposes. 10.5" x 6.5" x 4"